Slightly Imperfect - Perfectly Fine T Shirt Only $19.97! Ships FREE! You are here: Home / Great Deals / Slightly Imperfect – Perfectly Fine T Shirt Only $19.97! Ships FREE! Slightly Imperfect – Perfectly Fine T Shirt Only $19.97! Ships FREE! 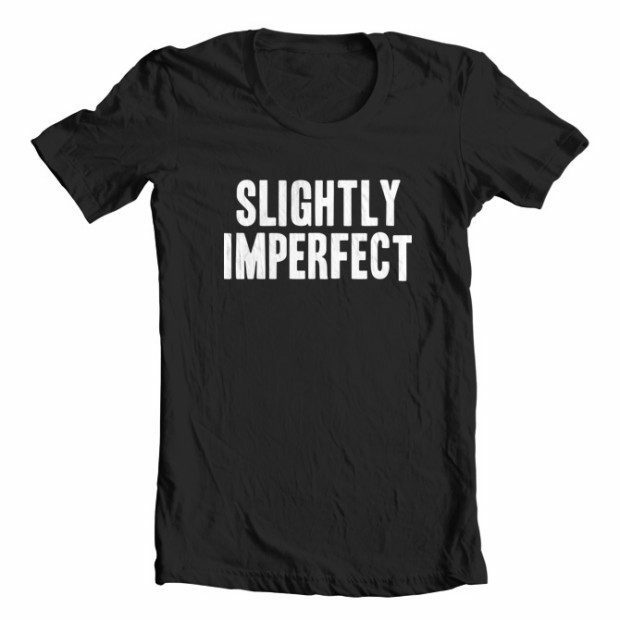 Order the Slightly Imperfect – Perfectly Fine T Shirt for Only $19.97! Ships FREE! Honesty is the best policy even when it applies to describing you as a person. Or maybe this is referring to the slightly lowered ‘T’ at the end of IMPERFECT. Either way, this is a great T-shirt.